Scarves have been an essential in any lady’s wardrobe for ages. Regardless of the place on the globe or fashion trends, this accessory manages to always stay in vogue. One of the reasons of such popularity is the wide range of ways to style this item. One can create astonishing and vibrant looks with the help of a right scarf. And the best thing is that you can have an unlimited amount of them in your collection. various colors, patterns and textures – this is the rich choice you are offered today. One cool way to both stay warm and on trend is to wear a headscarf. Those of you who do not like caps and hats but still would like to protect your head from the freezing temperatures, this would be a perfect option for. Even if you do not fall under this category, there is still a chance for you to make your daily looks more diverse and exquisite. You no longer need to match the accessories with the rest of your outfit. On the contrary, the more contrast you have the better it will be. I believe that most of you follow this rule and get a handful of different stylish pieces that manage to make any look more engaging and exciting. If this the case with you, then there is nothing to worry about. 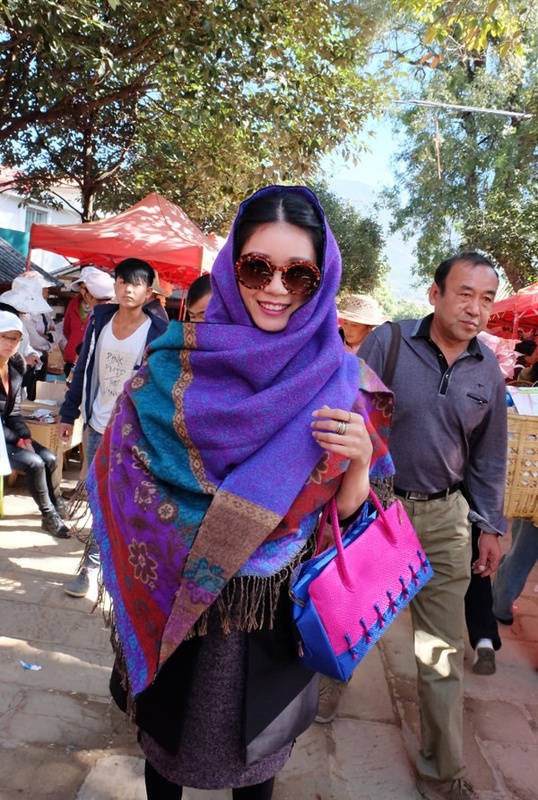 Just get yourself a couple of vibrantly printed headscarves and feel free to combine them with anything from an elegant camel brown cashmere coat, white shirt, black sunglasses and matching gloves. There is also room for a bright and trendy handbag along with some stylish booties. You do not have to wear a headscarf outside only. In case you feel like complementing one of you evening outfit with this accessory, you can easily do so. 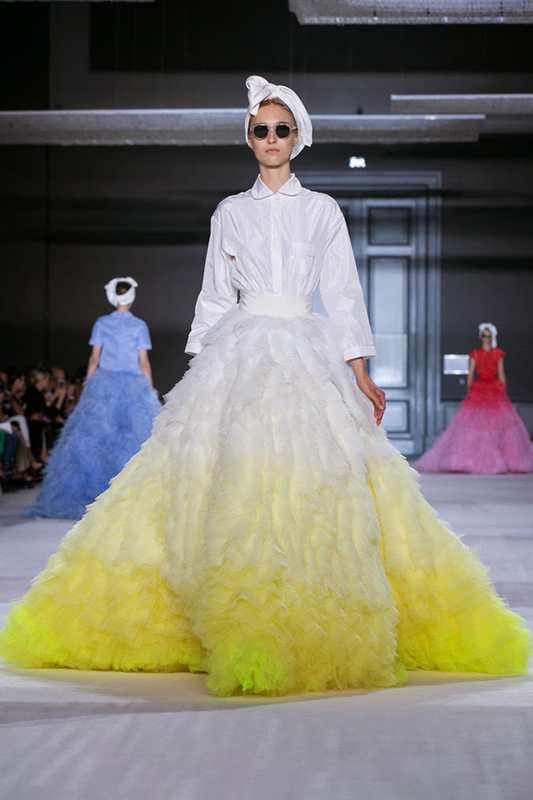 Ulyana Sergeenko for example suggests you to rock a classic buttoned white shirt and a triple-colored ruffled and fringed skirt in white, lemon and bright yellow along with a white scarf. The latter is styled as a turban and complemented by a pair of cute and hot sunglasses, but you surely can opt for any other way to wear it. Such an item will definitely make you stand out from all the guests attending the fashionable event. Another street look is offered by Miroslava Duma. The stunner donned a beautiful printed headscarf in gray, red, blue and yellow. I am in love with the abstract patter of the piece as well as the way it is combined with the rest of the ensemble. First of all, it matches the overall color palette, which makes it a perfect complementary piece. Also, despite the quite bright shades, it does not stand out from the whole look that much – this add a solid and complete zest to the look. Moreover, the scarf gives a chic and somewhat Parisian impression to the outfit, which certainly makes the look more appealing and desirable. Here comes another way to rock a headscarf when walking down the streets. A lovely beige and black piece with red touches look awesome against the beige trench coat. The contrast is so delicious and great that it is impossible to pass by this look and stay indifferent. Besides, the vibrant hues on the scarf are not the only element that makes this outfit so cool. A pair of flare red pants fit into the ensemble in an excellent way and adds even more credits. A somewhat funky and incredibly saucy look will totally speak to many of you. There is no way one can feel nothing towards this cool ensemble, full of vibe and style. 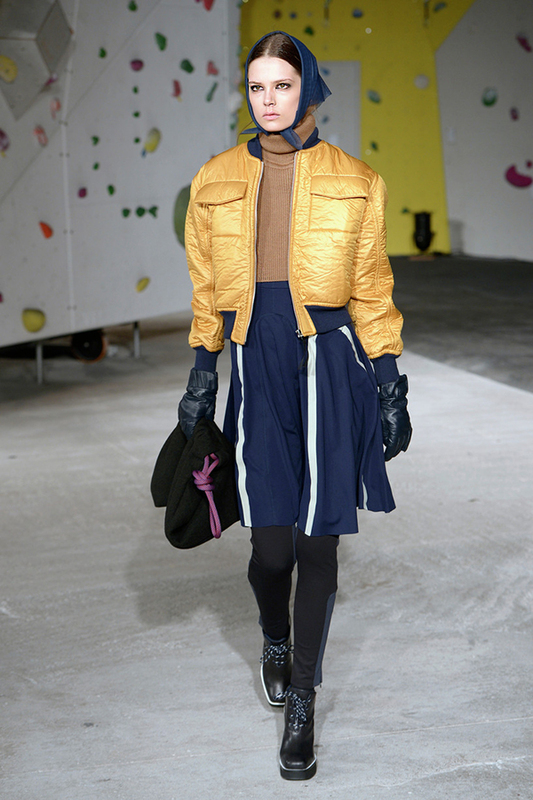 A stylish turtleneck in copper brown is paired with a gold yellow puffer coat featuring black hues. The latter correspond with the midi skater skirt in navy blue and white; while the black and charcoal leggings along with the black leather boots make the look more complete and trendy. Yet, there is one more detail that is featured in this ensemble: a light gaze headscarf in indigo blue adds up to the overall impression and certainly makes one’s mouth water. If you would like to go for ethnic motifs and create a very vibrant and catchy outfit, here is the best solution for you. This purple wool scarf with brown, turquoise, lavender, red and violet hues, some adorable design and fringed edges is my favorite piece from today’s set. The moment I spotted this bright and saucy item, I immediately fell in love it. Since most of my outerwear is designed in dark shades, such an outstanding accessory will become a lovely accent. Above were the most tempting and stylish ways one can rock a head scarf these days.